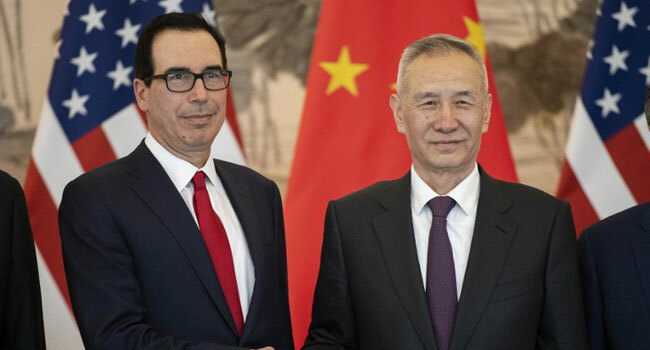 China’s Vice Premier Liu He (R) shakes hands with US Treasury Secretary Steven Mnuchin (L) as they pose for a group photo at the Diaoyutai State Guesthouse in Beijing on March 29, 2019. Top negotiators from China and the United States began a fresh round of trade talks in Beijing on Friday to settle a bruising dispute that has threatened to blight the global economy. Officials are seeking to iron out major differences over US accusations that China has been using unfair trade practices for years by heavily subsidising its companies while snatching the technological know-how of American firms.